The workplace can create many hazards for your hands, whether from chemicals, cuts or burns. No single glove can provide appropriate protection for every work situation, so it is important to assess the risk for each task and select a glove that provides specialized protection. 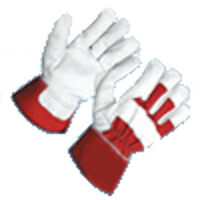 We manufacture Individual Gloves, Heat protecting Gloves, Mechanic Gloves, Welding Gloves, Supports Gloves.